The holidays are here and people will be coming over to celebrate and spend time with you. Is your home something that you are proud of? Does your property look inviting and impressive? If you don’t have a solid “yes” for an answer… Call F. A. Hobson Landscaping and let us make your property look amazing in time for the next family visit. Driveways, walkways, patios, pergolas, outdoor lighting, and anything that would improve your property. Let us show you what we’ve done and why we are award-winning. Call 410-827-9614 today. F.A. 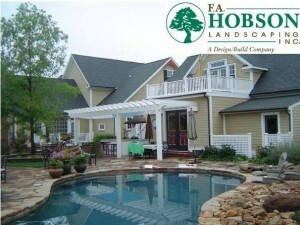 Hobson Landscaping – Delmarva’s Pergola Experts.